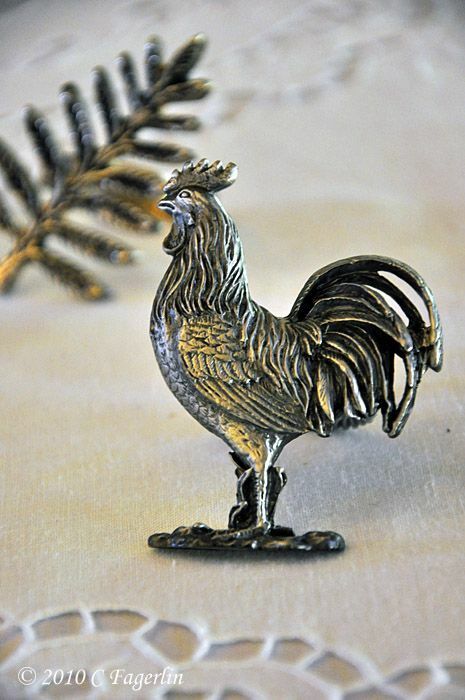 and others are pewter. Can you tell the difference? Oh Wow!! Very cool. 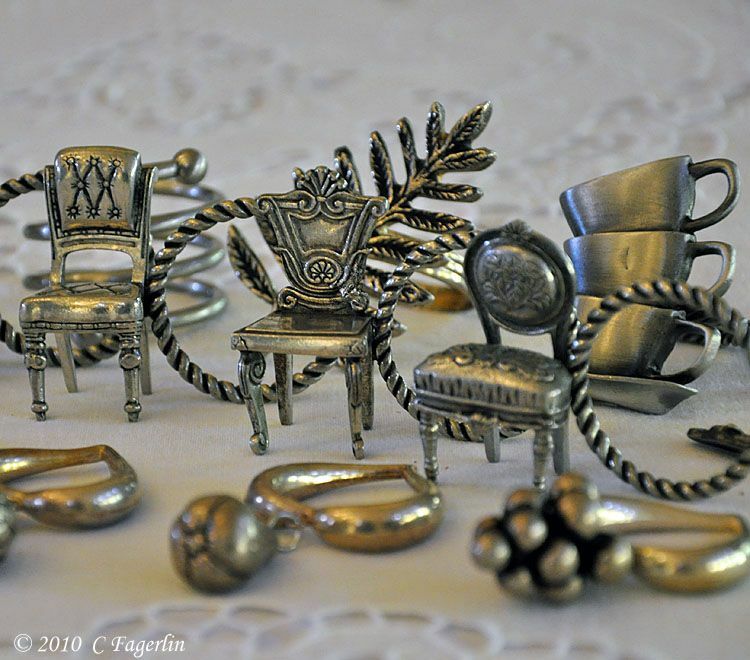 I have a thing for chairs so those are definately my favorite ~ great collection. 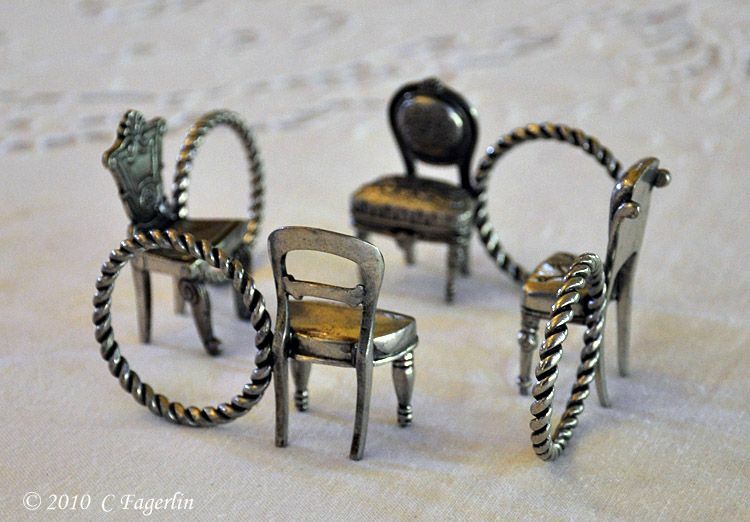 I love the chair rings. 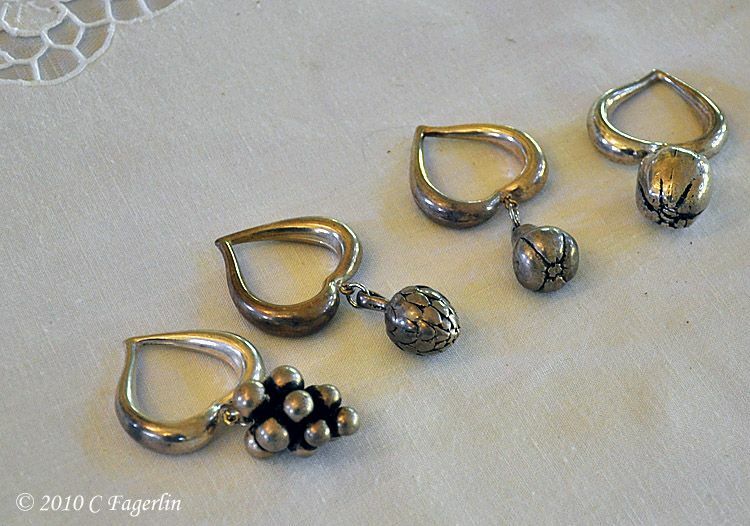 No, I can't tell which is silver and which is pewter. Also, love the polki dot dishes on side bar. Everything on your blog is so very lovely. 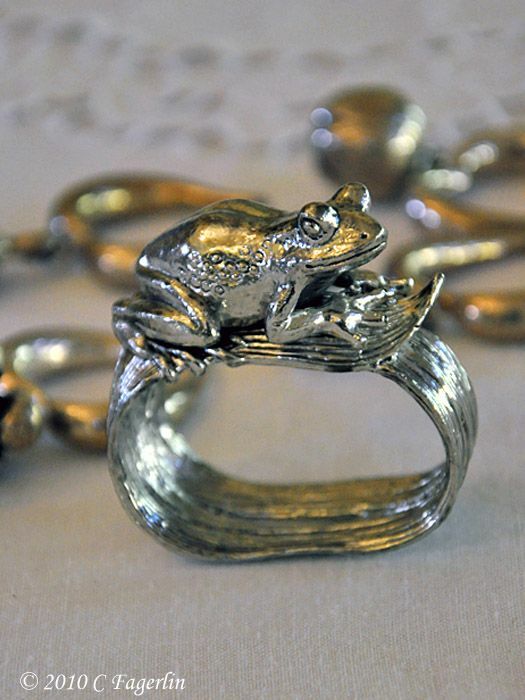 I do like the toad napkin ring too cute! What a wonderful collection! They are all just beautiful! so gorgeous! 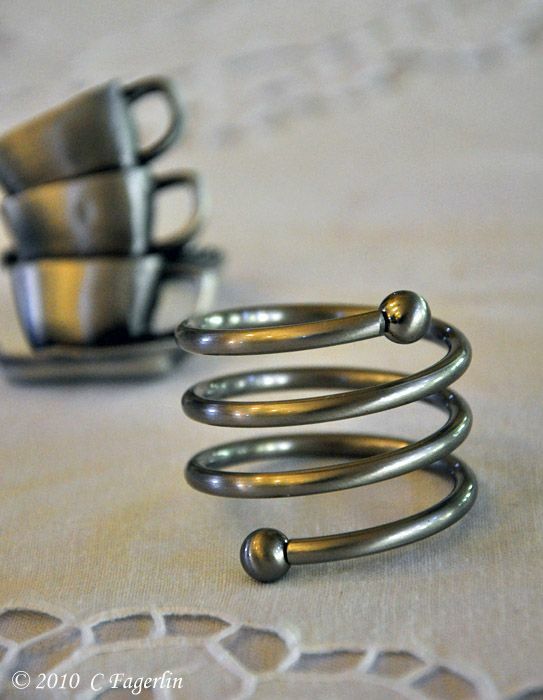 i have a napkin ring collection too, love them! 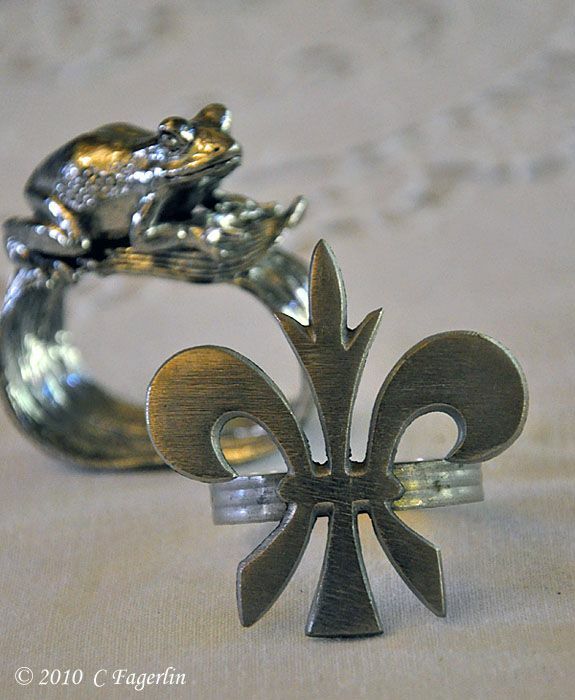 i adore your frog napkin ring, so cute! They are all beautiful. 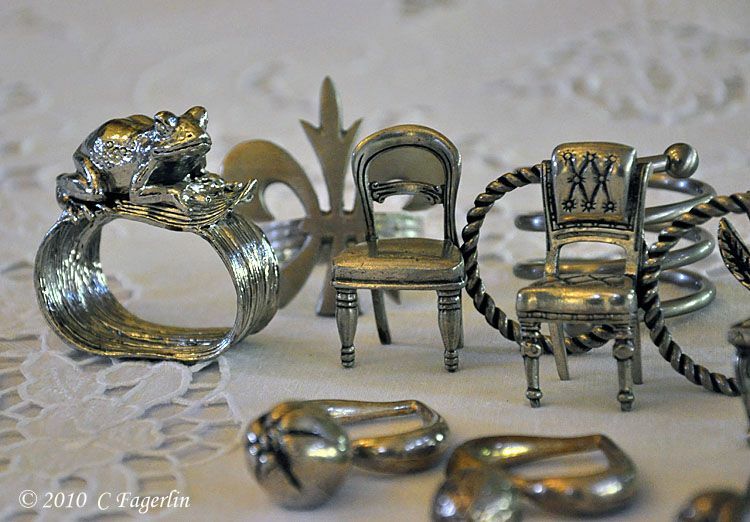 I never thought of collecting silver napkin rings! Oh, I love these! You have quite a collection! I'm in love with the little froggie hanging on for dear life. What a unique and original collection....you have such wonderful taste! thanks for participating see you next month! Have a wonderful week.Happy Mother's Day! What a fun collection. I'm in love with Mr. Froggy! Can you tell me more about him? 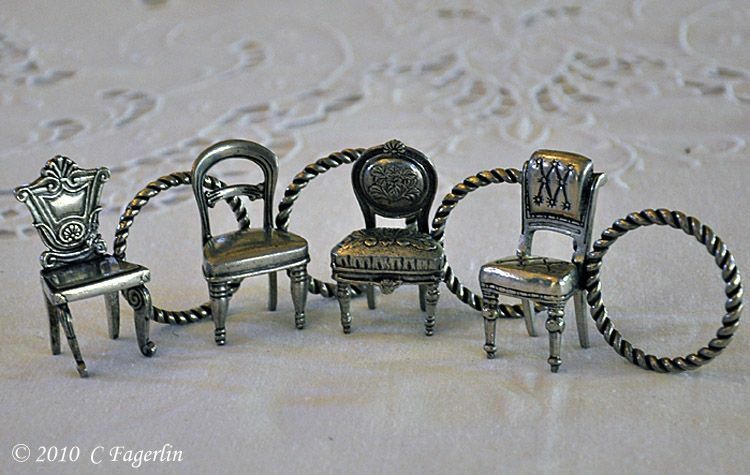 I have a set of the little chairs as place card holders. 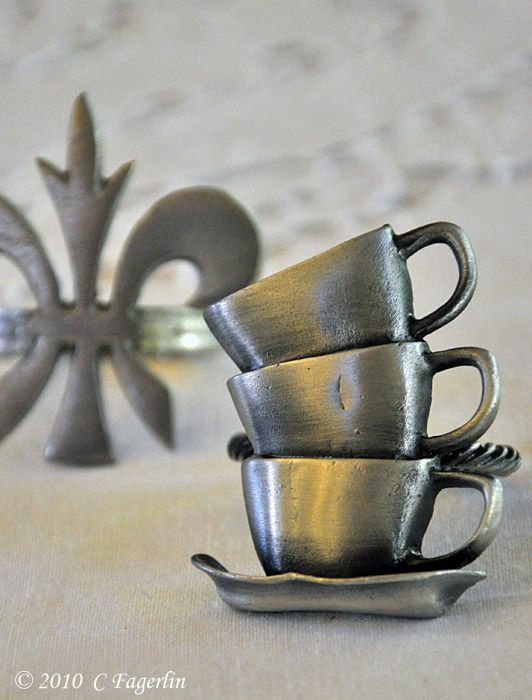 Hadn't seen the napkin ring version. Nice collection. 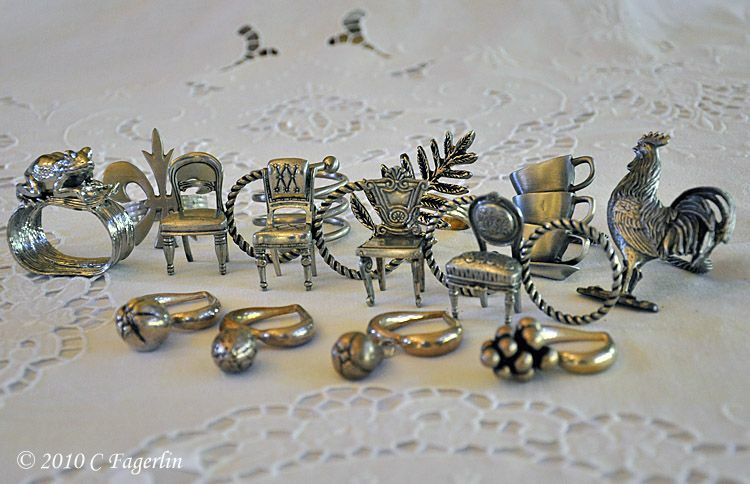 I like the amazing dollhouse chairs. Thanks everyone! 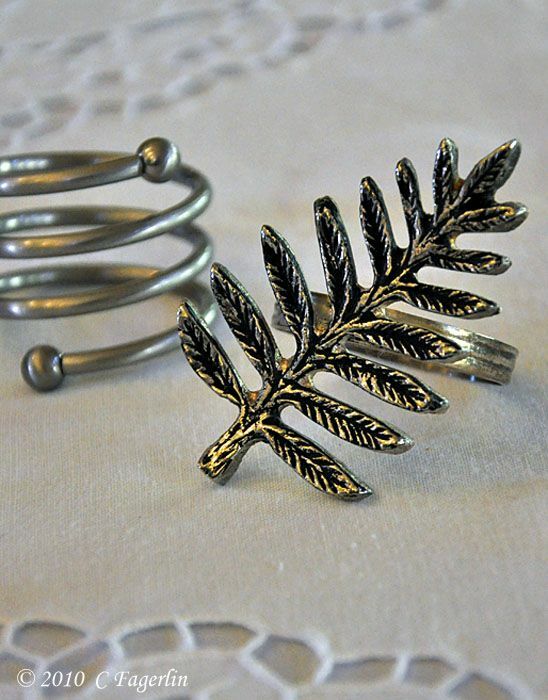 I think a napkin ring adds the perfect touch to a meal and many of them make for a great ice breaker. The set of little frogs came from the internet somewhere.....don't remember where, but I found them through Google last fall.